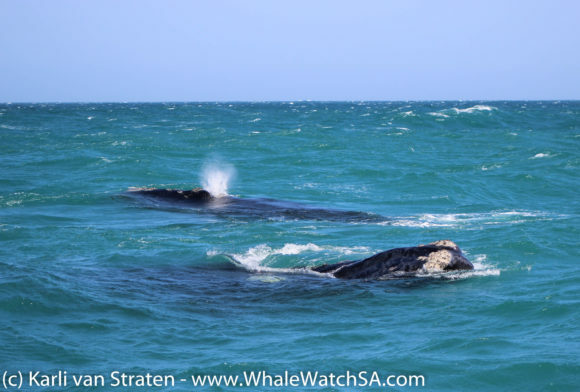 We had two whale watching tours launch today, with an easterly wind coming in strong. 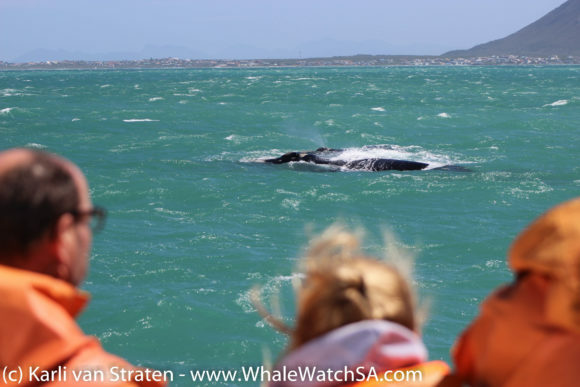 This is absolutely no stress for us as the easterly blows the sea pretty flat and makes for quite an epic whale watching adventure. 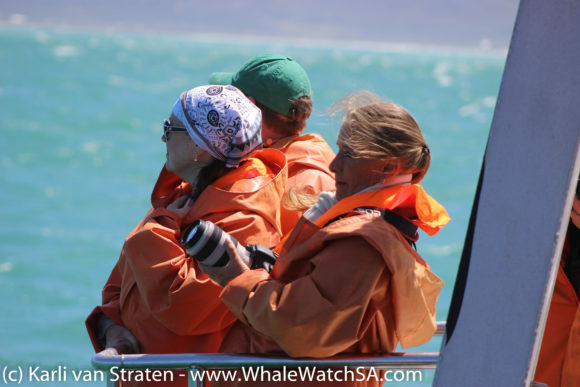 The first tour of the day launched at 10:30, with a boat full of eager whale watchers dressed in attractive, khaki waterproof pants and a bright orange coat to match. As we boarded the boat, all belongings were stored in water tight compartments, with us setting sail moments later. 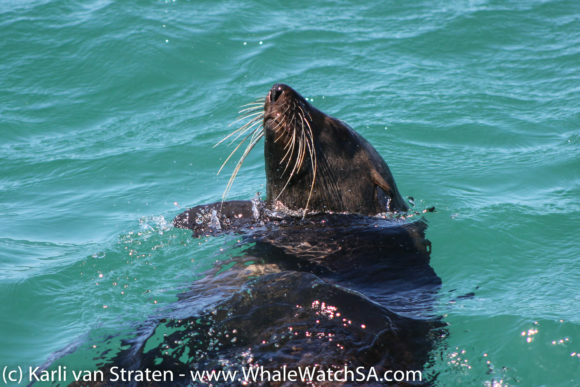 After enjoying the roller coaster ride that is the trip out the harbour, we moved into protected waters and cruised through the shallows on our way to Pearly Beach. 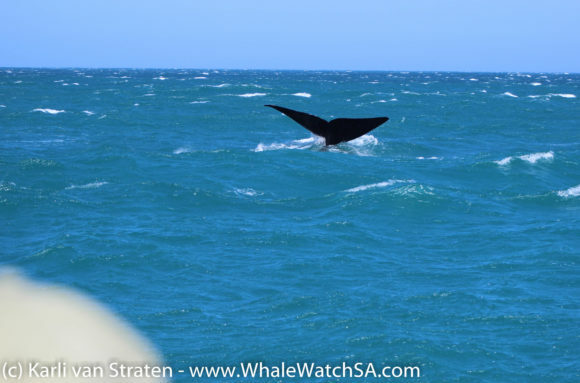 Unfortunately, our stop at Slashfin yielded no sharks but did point us in the direction of a couple of whales. 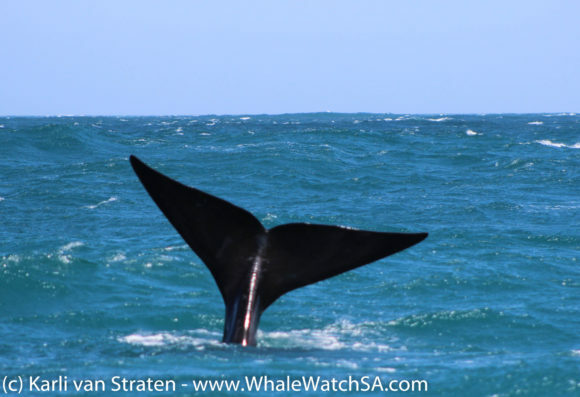 A mother and calf Southern Right Whale where toddling along in the shallows when we went in for a closer look. 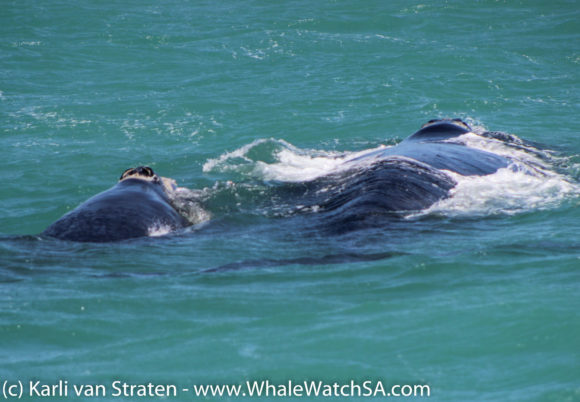 These two were looked as though they had not a worry in the world, playing around and moving together through the swells. 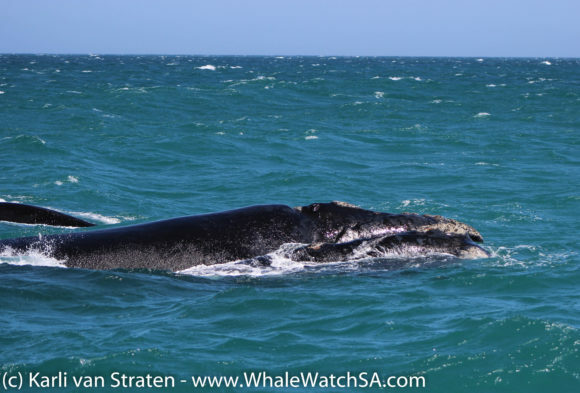 This little calf will not stay with mom too long, with estimates being just under a year although they will venture down to Sub Antarctica together. 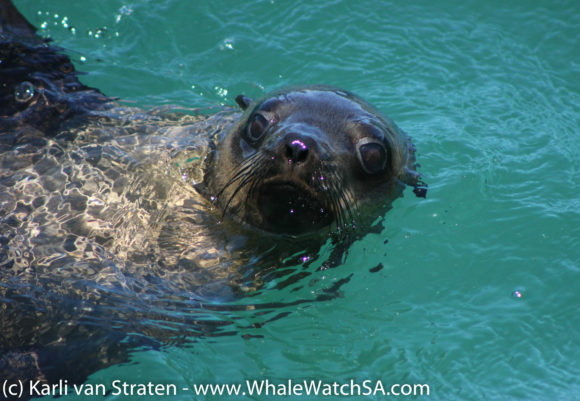 It is said that calves have been seen trying to skim feed on krill and copepods as early as February, so we think that this babies are quick learners. 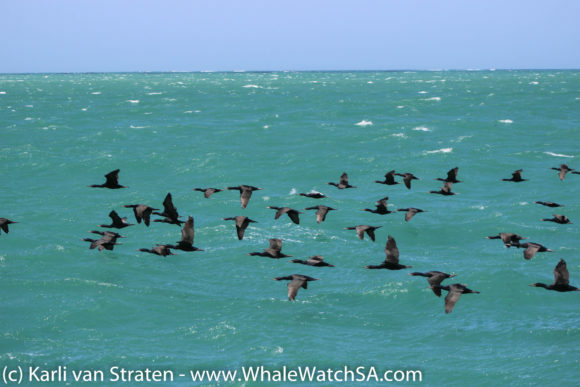 After this, we moved over The Clyde Reef System into Shark Alley to show off our impressive colony of 60 000 Cape Fur Seals. We’re starting to see quite a few big bulls hauling out in preparation for their mating season, which is just around the corner. 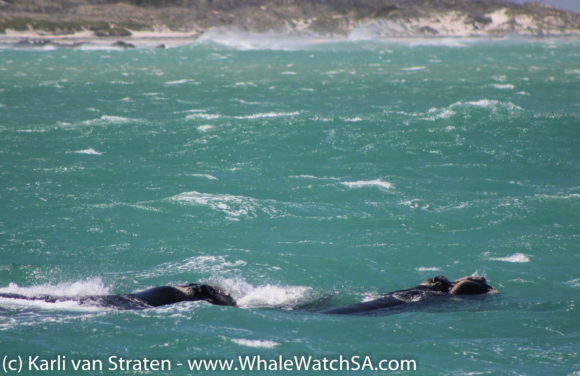 The bulls are easily recognisable by their thick necks, which almost seem to have a bit of a mane, many of them are also around double the weight of even the heaviest female which causes them to stick out a little like a sore thumb. The last trip of the day saw us moving into the Pearly Beach area, where we had a super active mating group. It seems as though these males are trying their best to get one last shot at a baby, with all of them being super frisky out there today. 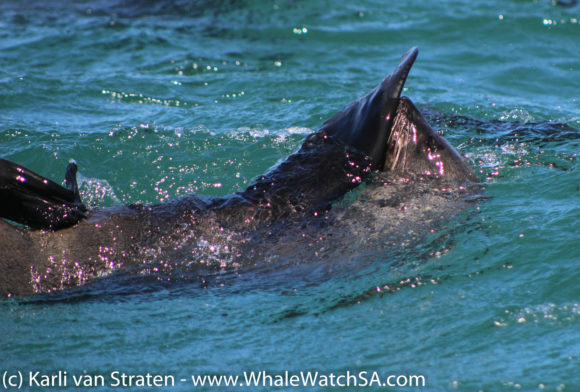 We had what we thought to be 6 adults around, with the group probably consisting of only 1 female. They gave us a spectacular show, and at times it was really tough to decipher where one whale ended and the other began. 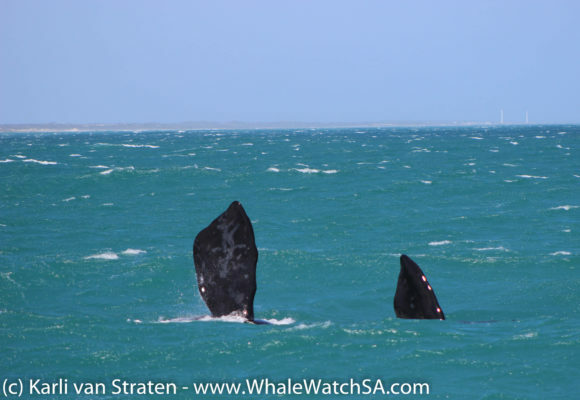 We got to see those massive pectoral flippers, which can weigh in at 2 tonnes and this particular group was exceptionally generous with their tail flukes, which we don’t always get to see. Unfortunately, we were unable to spot any African Penguins out there today, but, it does not mean that we didn’t get to celebrate them! Today was African Penguin Awareness Day, an event dedicated to shedding some light on the plight of the African Penguin. Anyone who visited our sanctuary was lucky enough to score a tasty penguin biscuit and a memorable experience with one of our most endangered bird species.